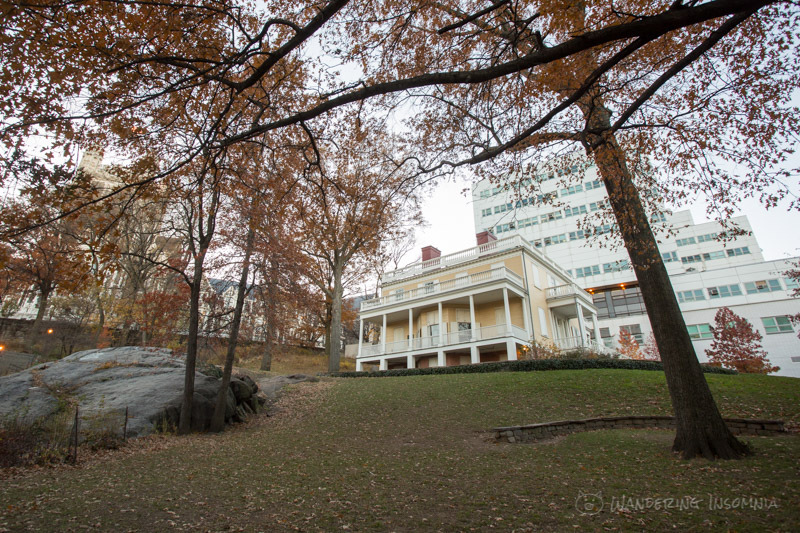 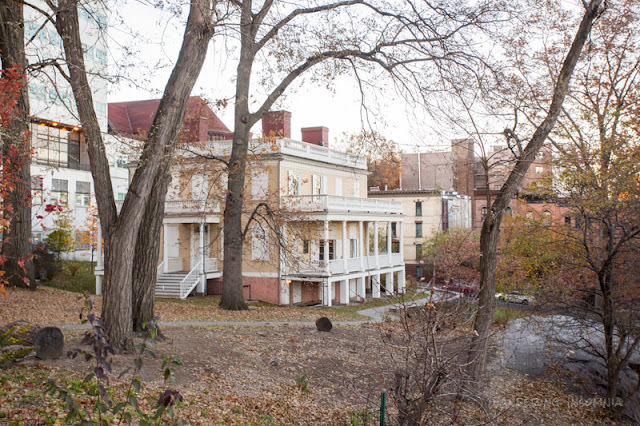 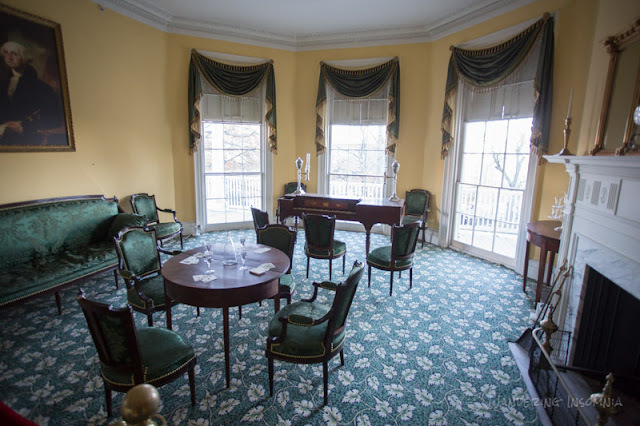 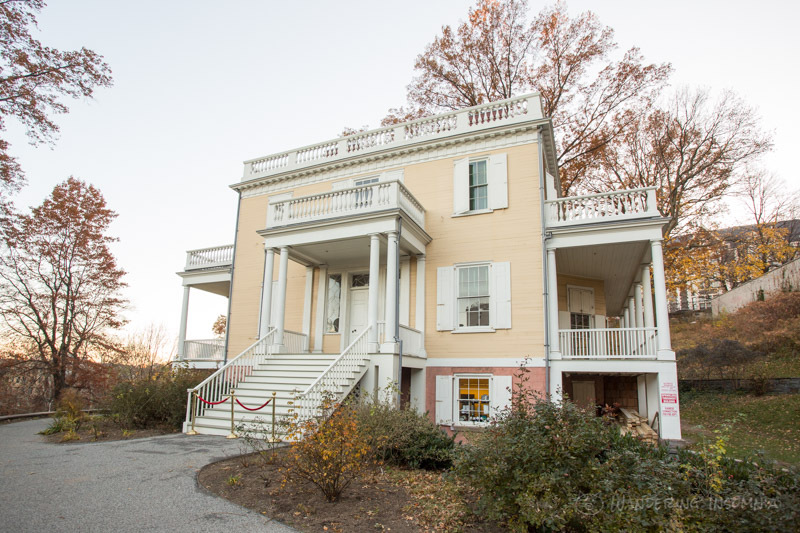 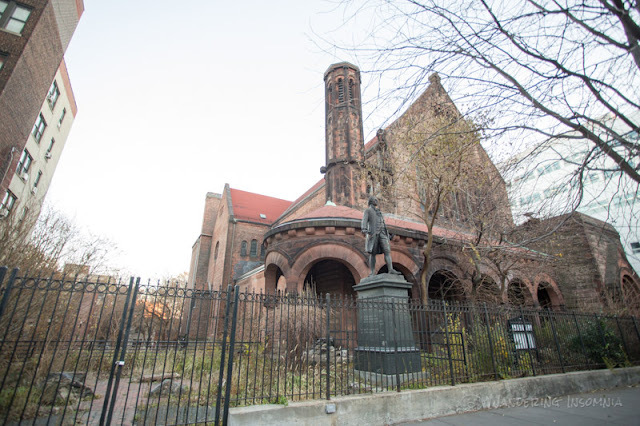 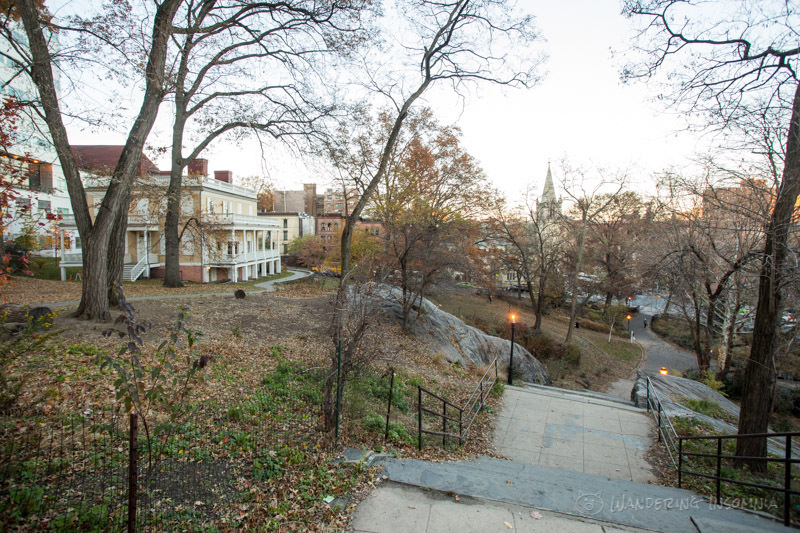 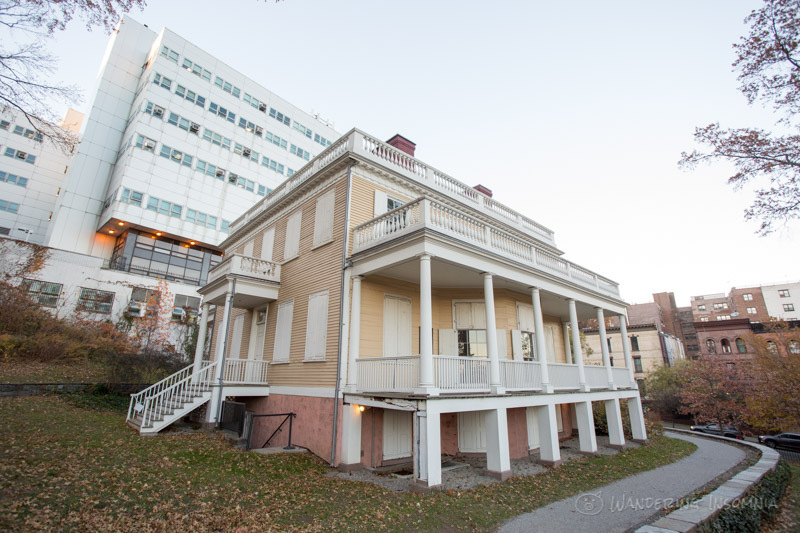 Hamilton Grange is Alexander Hamilton's home in Harlem. 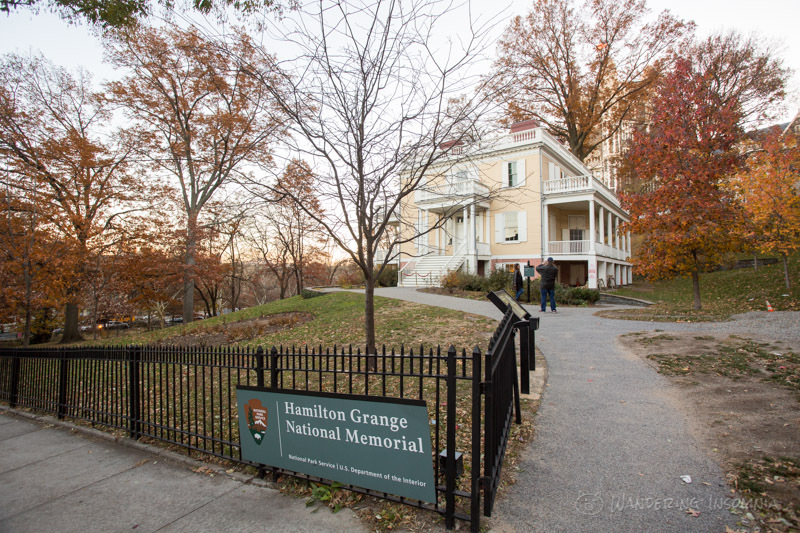 Hamilton lived in the Grange for about two years before his death. 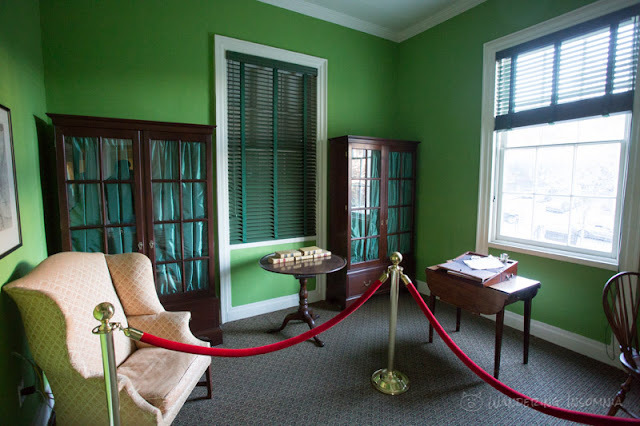 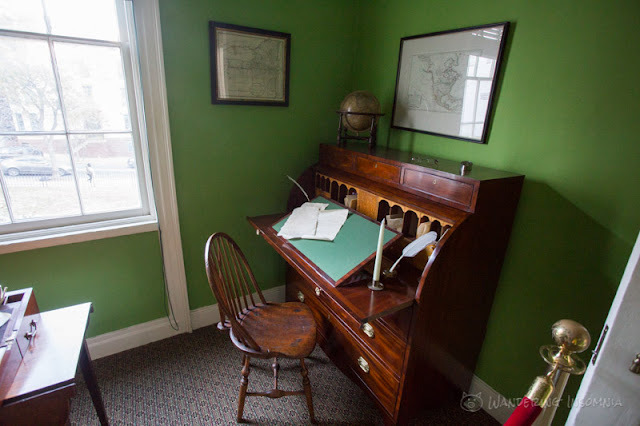 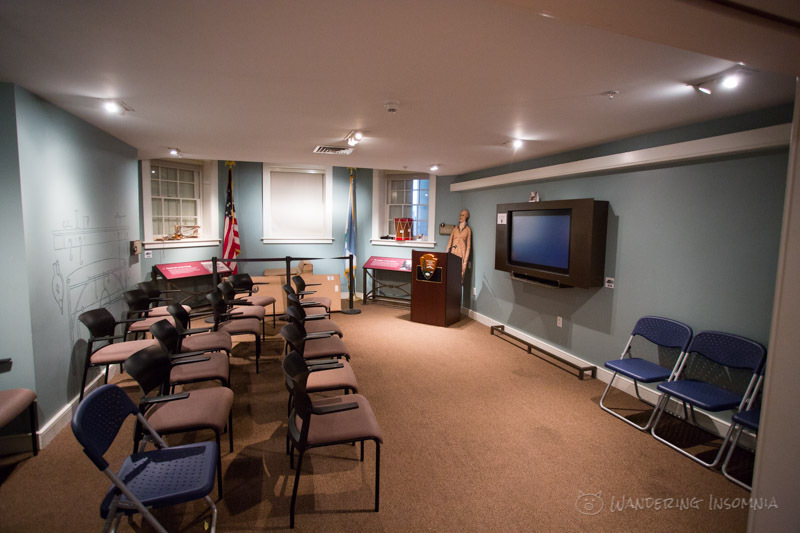 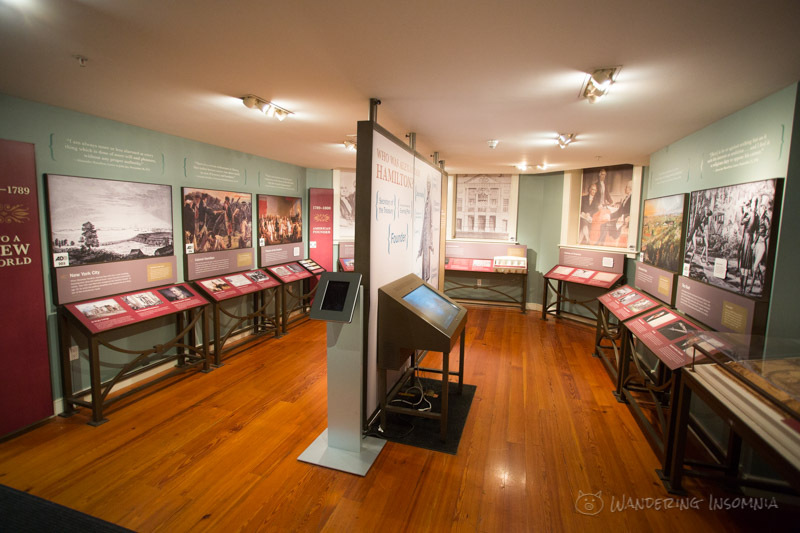 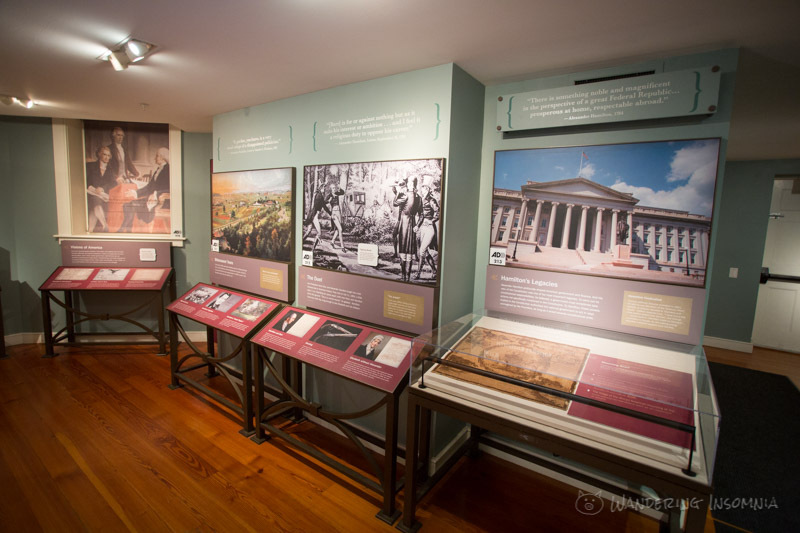 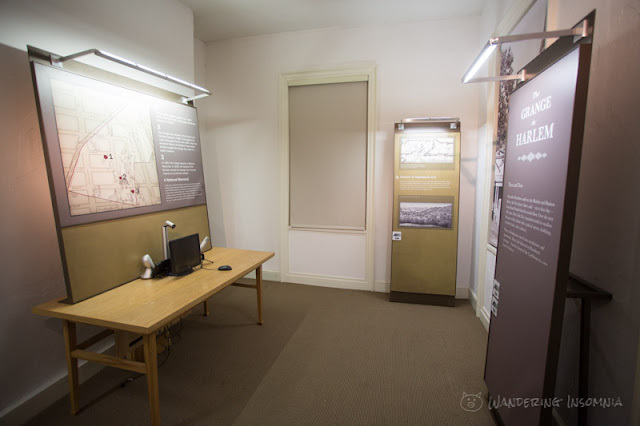 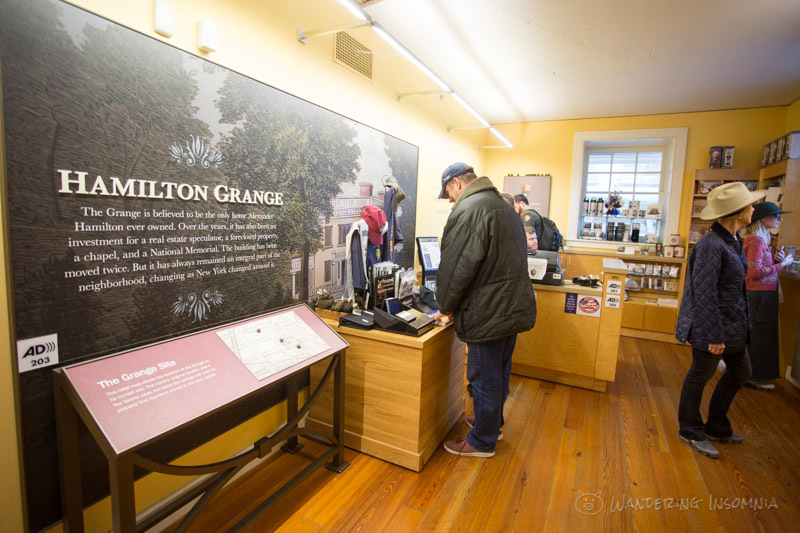 The home is now a museum run by NPS and is open to the public for free from 9am to 5pm Wednesday through Sunday. 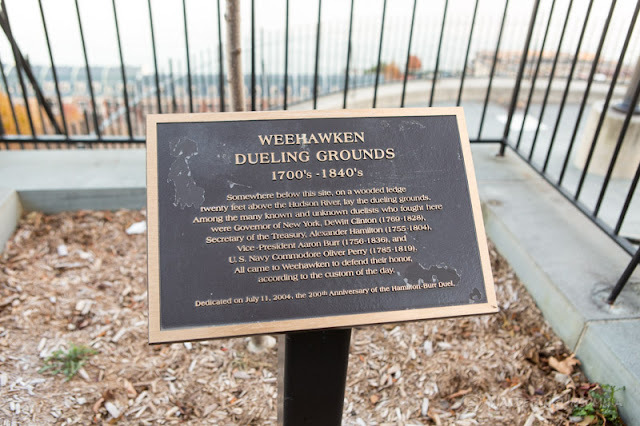 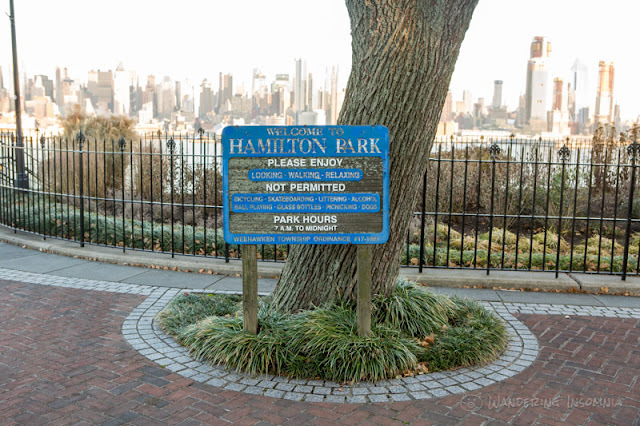 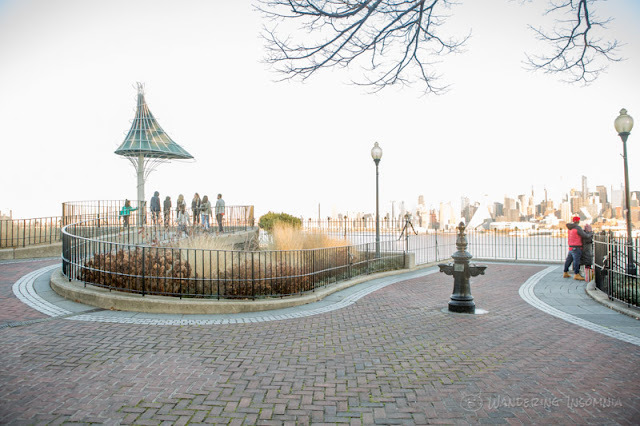 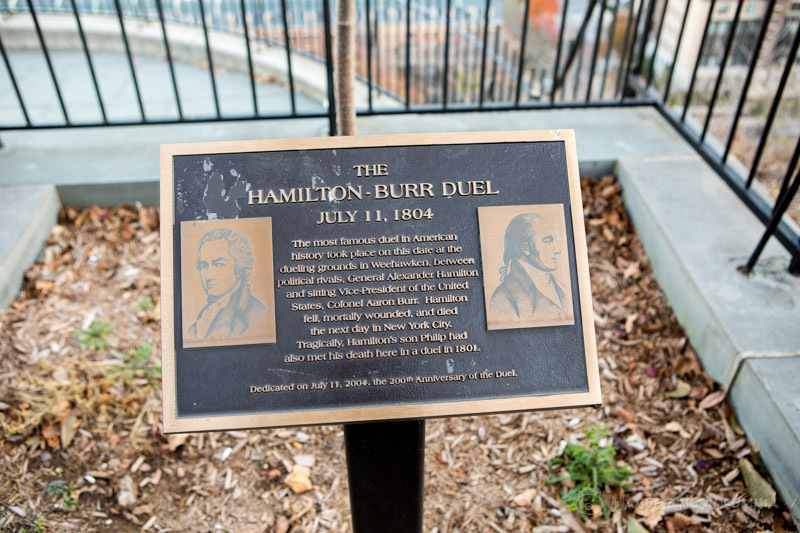 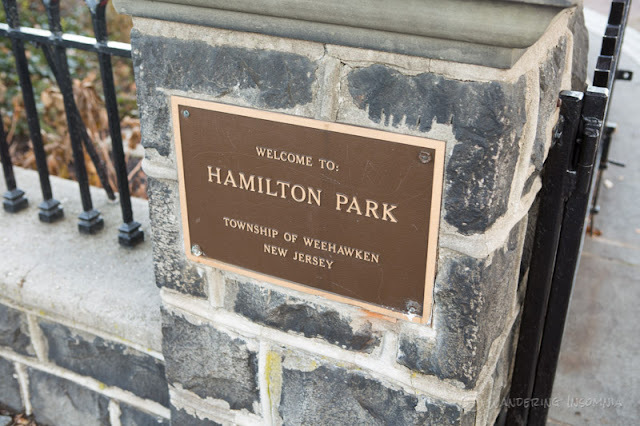 Take the A, C, B, D train to 145th St station and walk down to 141st St.
Weehawken Dueling Grounds was a common dueling location from the 1700s to 1840s, with several famous duels including the Hamilton-Burr Duel. 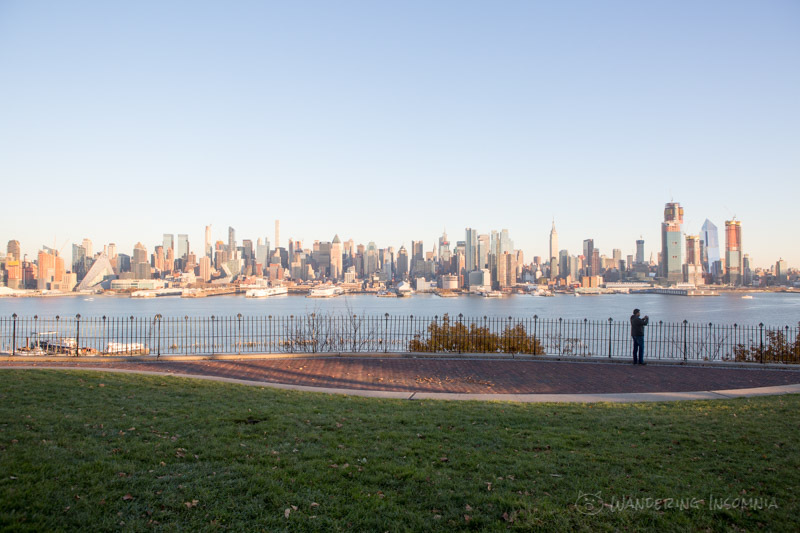 Located in Weehawken, New Jersey, it also offers great views of New York City. 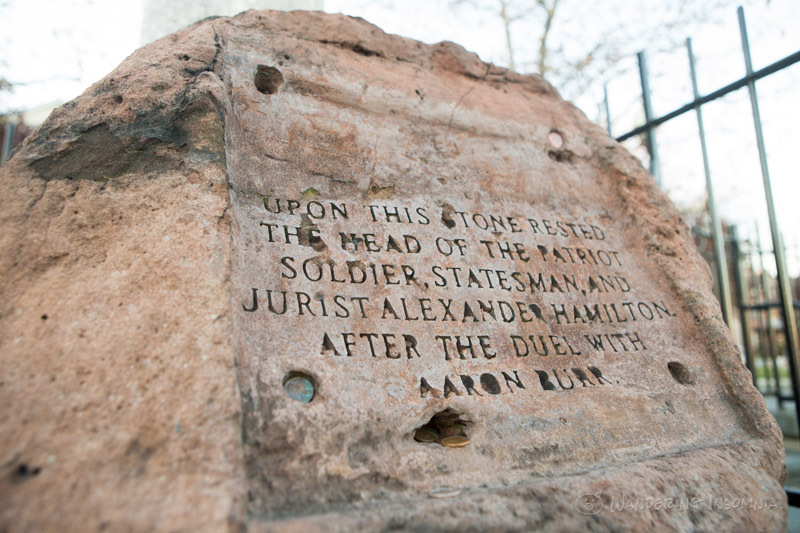 "Upon this stone rested the head of the patriot soldier, statesman, and jurist Alexander Hamilton after the duel with Aaron Burr"
Take the A,C,E subway to Port Authority Bus Terminal, then take the 128, 165, 166 or 168 NJ Transit Bus to Boulevard East at Hudson Place. 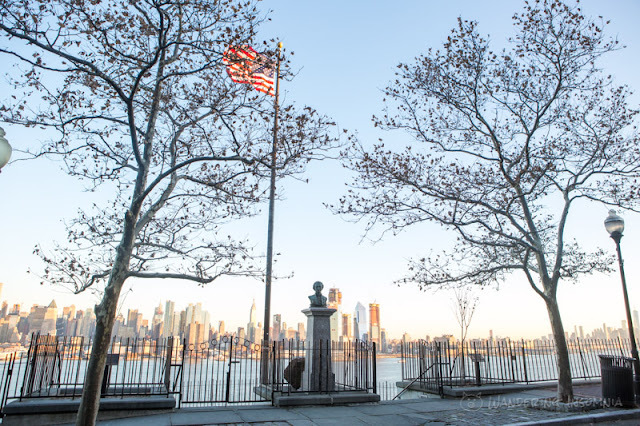 Bus tickets are $3.50 one-way and can be purchased at Port Authority Bus Terminal from the automated ticket kiosks or ticket counter. Return tickets can be purchased in advance at Port Authority or while boarding the bus in cash (bus drivers may have limited change). Alternative: Take the PATH to Hoboken, then take the Light Rail to Port Imperial. 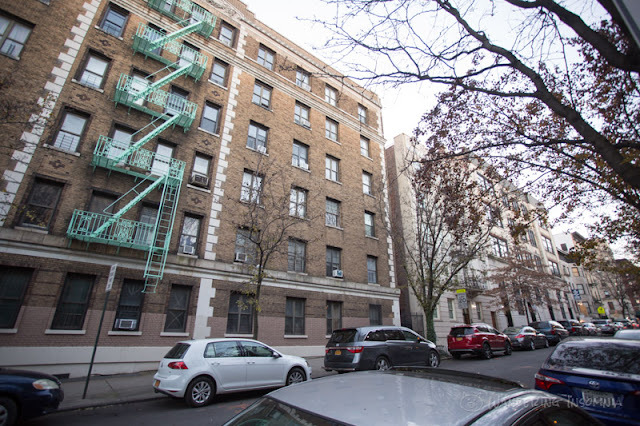 Climb the stairs up the cliff-side towards JFK Blvd and walk about half a mile south. 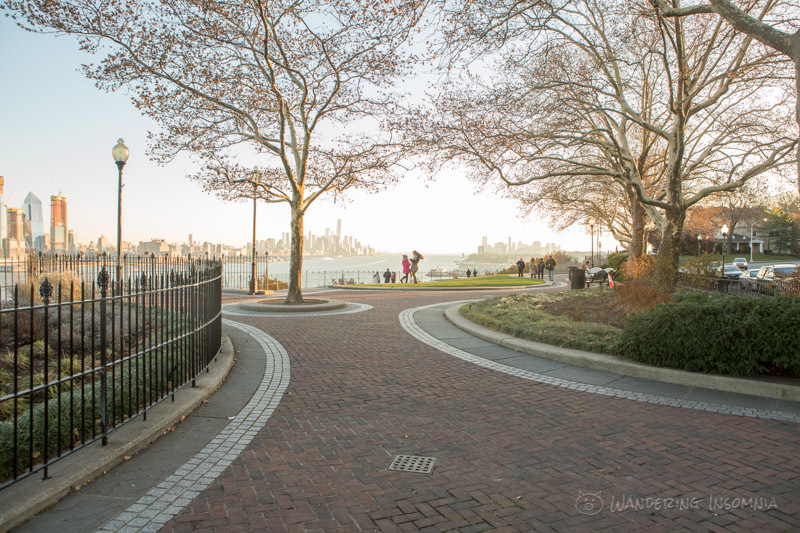 The PATH costs $2.75, the Light Rail costs $2.25. 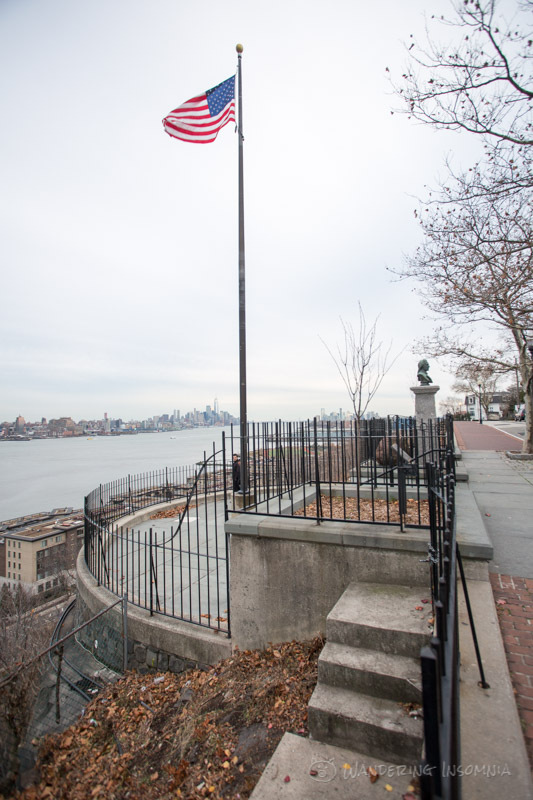 Metrocards are accepted at PATH turnstiles. 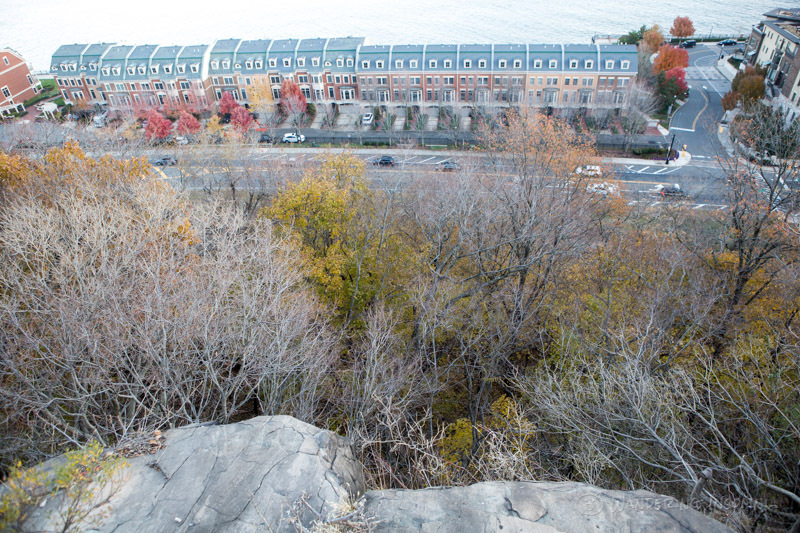 Light Rail tickets may be purchased from automated kiosks at Light Rail stations, and must be validated before boarding the train.